Series 24 Tell-Tale indicator light gives the operator a visual indication of the light status. Stainless steel housing. Bulb included. Two wire leads. 112.5 degree Arc. Meets USCG requirements for 1 nautical mile. 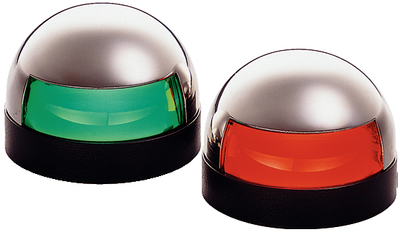 1 pair of red/green, port and starboard side lights.